Water is a precious resource – but it can’t be taken for granted. Climate change, and the more extreme weather that comes with it, means that water supply is becoming more unpredictable than in years gone by. Increased frequency of drought across Europe lines up with climate projections. Water is an international issue, but the UK’s reputation for a rainy climate distracts from how the relationship between rainfall and the water available to us really works. Water companies capture much less rain for our use than people commonly assume, with parts of the UK already subject to water stress. In fact, 12 out of the 23 water companies operating in areas of England are rated as being under ‘serious’ stress. Water is also intrinsically linked to energy. But most of us underestimate the energy water companies need to treat and pump water into homes - Scottish Water is the largest user of electricity in Scotland. Then there’s the energy required to produce hot water at home - we’ll come to that in a bit. To make matters more urgent, UK water demand is set to rise in the next few years, so it’s getting even more important to make the most of what we have. Who is using the most water? 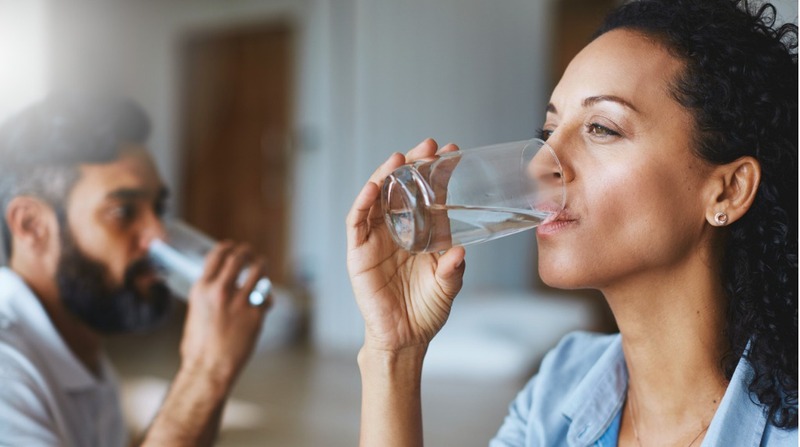 Lifestyle and behaviour changes over time, as well as climate change have all contributed to increasing strain on our water supply. 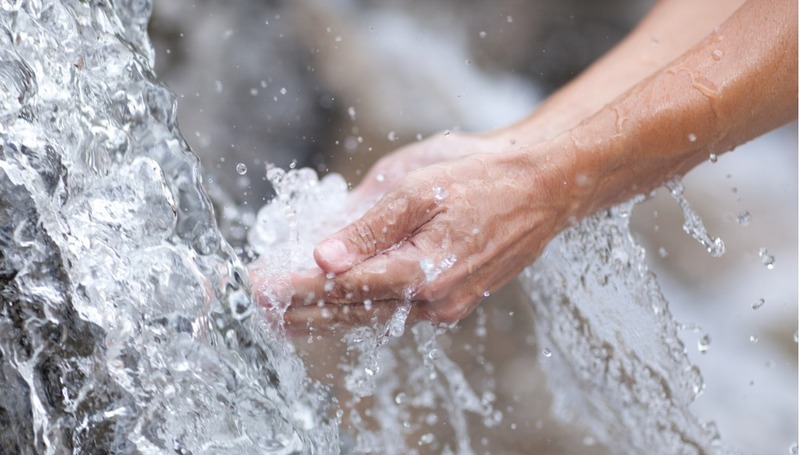 Improved housing standards and technological developments, while providing enormous benefit, have led to increased bathing and washing options, which means increased water use. Add the pressures of an increasing population into the mix and water used in the home accounts for over half of all public water supply use. At the same time, industrial and commercial water consumption has declined, in part due to more water-efficient processes. Perhaps surprisingly, agriculture only uses 1% of our water resources. Currently, the average household in the UK uses around 330 litres of water a day, that’s 140 litres per head, every day. According to Waterwise, 85% of people don’t know how much we use per day on average and if they make a guess, they generally estimate between 50 and 100 litres per day. The average UK water and sewage bill for homes with meters comes to £405, and around 17% of the average heating bill relates to heating water. 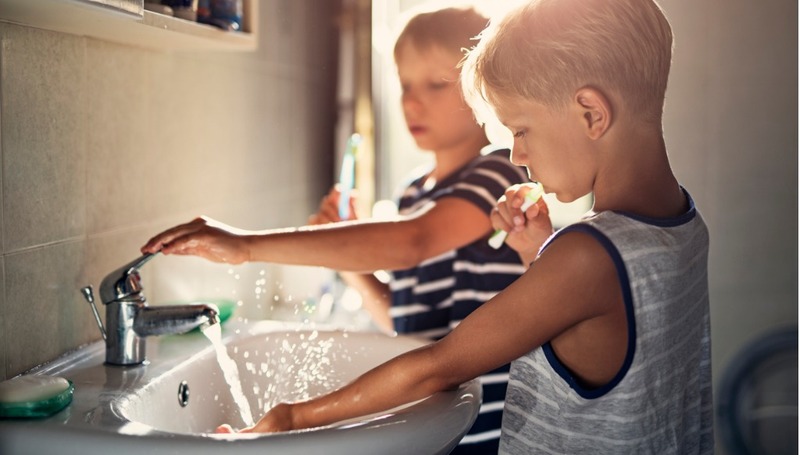 Using water wisely can make a personal difference: for those on water meters, this can mean savings on water and energy bills, and on energy bills for those in unmetered properties. On top of that, there’s the value of not wasting such a valuable resource and contributing to the broader good of helping to manage supply, now and into the future. Our 2013 At Home With Water report sets out how we need to change our perspective on using water in our properties, as well as highlighting the opportunity to make a significant difference to the amount of water we use. For example, nearly half of homes could make efficiency improvements to their toilet, whether that’s by using a cistern water displacement device to save up to a couple of litres per flush, or upgrading to a dual-flush toilet, which would save a mighty 12,500 litres per person, per year. That’s the equivalent to 150 average-sized baths full. But toilets are not the biggest ‘water offender’ in the home. Showers are the biggest source of water going down the drain, while we spend billions of pounds heating the water for them. turn off taps while brushing your teeth or when they’re not in use. In fact, every system or appliance that water comes through in a home, comes with a label telling you how much it can help you reduce water use. Remember to look at water consumption – as well as energy performance – when investing in new wet appliances, such as washing machines and dishwashers. Of course, improved building standards should also add to water efficiency, with tightened rules on the types of fittings for new buildings. In time, moving into a new property should mean having water efficiency inbuilt as standard. Even once all the kit is in place, water-conscious behaviours will still count – and reduce bills.